Huawei's global partners Microsoft, Thales, and SAP have discussed the importance of building a collaborative ICT ecosystem for business driven innovation that is relevant to the UAE. Under the theme 'Leading New ICT, The Road to Digital Transformation', the Dubai edition put the spotlight on advanced ICT technologies that are driving digital transformation in the UAE and helping to achieve the country's development agenda in key sectors. The roadshow was attended by 120 people including ICT leaders across a number of key verticals in UAE including the public safety, oil & gas, grid utility, transportation, education and finance. It included several keynotes, a solution exhibition and technology workshops covering Campus Networks, Data Centers and Cloud Communication Solutions by regional Huawei experts. 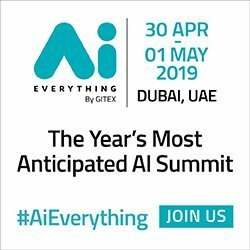 The roadshow in Dubai is the second edition in the UAE after the first one held in Abu Dhabi earlier this month. Held for the first time in the Middle East, the New ICT Roadshow 2018 is a collaborative platform that brings together leading Huawei experts from across the region to share their insights into technical topics and best practices in multiple fields, such as all-cloud network, cloud-managed campus, convergent campus, all-flash storage, and Intelligent Video Surveillance (IVS). "Developing digital strategies has become a core priority for countries in the Middle East. 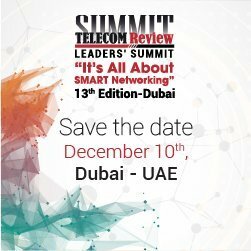 The UAE has emerged as one of the leaders in implementing core digitalization initiatives in the region," said Walid Gomaa - General Manager Data Center Solutions Huawei Middle East. "Huawei has been a strong collaborative partner with private and public players in Dubai to support the city's Smart Dubai 2021 vision. We are committed to bringing proven solutions from around the world to the UAE. The six-country New ICT Roadshow is designed to support enterprises in achieving their digitalization agendas, and enable them to build better connected, intelligent ecosystems," he said. As digitalization continues to transform the way that governments and businesses service the needs of people, 'New ICT' is the key driving force behind new business models. The 'New ICT Roadshow 2018' covers Bahrain, KSA, UAE, Kuwait, Oman and Pakistan.